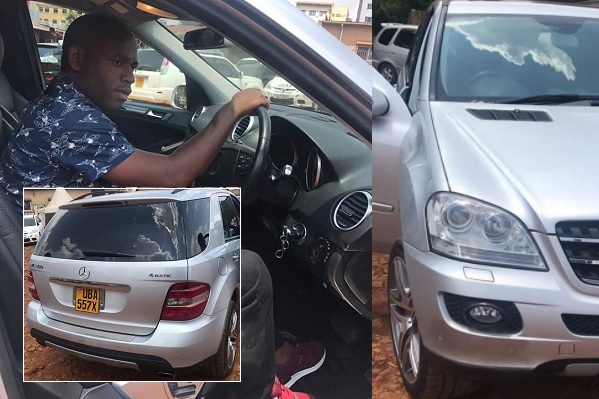 Tycoon SK Mbuga who was in June reduced to walking on crutches after breaking two legs and an arm has rewarded his caretaker, Abdallah, with a Mercedes Benz as a token of appreciation for taking care of him in the last two months. SK Mbuga's wife, Jalia Mbuga, is not by his side as she is heavily pregnant in Sweden, she is expecting their second child who happens to be her third and Mbuga's fifth and it's the sole reason she is not by Mbuga's side, otherwise, many were wondering how the lady whose wedding will go down as the most expensive wedding in Uganda could be missing at the time she was required most. 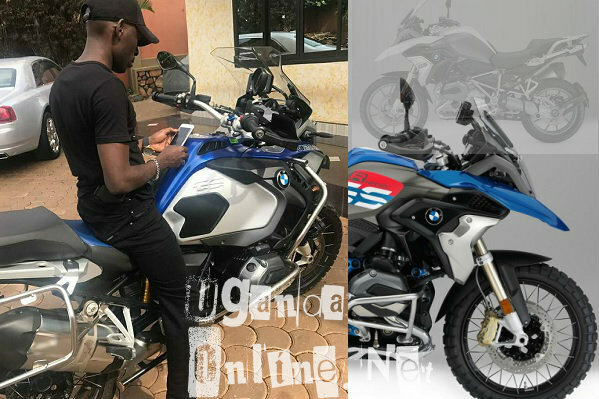 When some ladies learnt of this they were demanding for directions to Mbuga's home to at least wash his undergarments or better still displace Abdallah to enjoy similar rewards. That was not all, Abdallah ended up in Dubai for a one week's shopping spree all in the name of doing a good job. 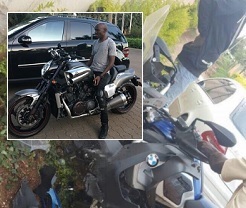 Some came out to say that it's a good thing he got rewarded, but the Merc looks to be costly in terms of fuel and maintenance, could it have not been better if he got land or a relatively small car. Just recently, Mbuga bought a brand new Ambulance for his hospital that is currently under construction. 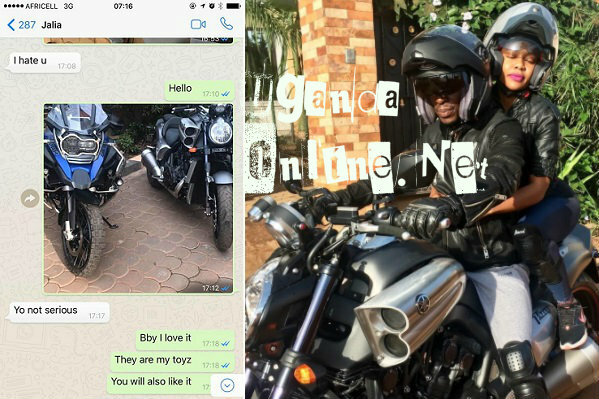 He does not chop money like his fellow colleagues that amassed their wealth from South Africa and has not only bought posh rides but also invested heavily at home. Many will benefit more from his hospital now that their services will be affordable. 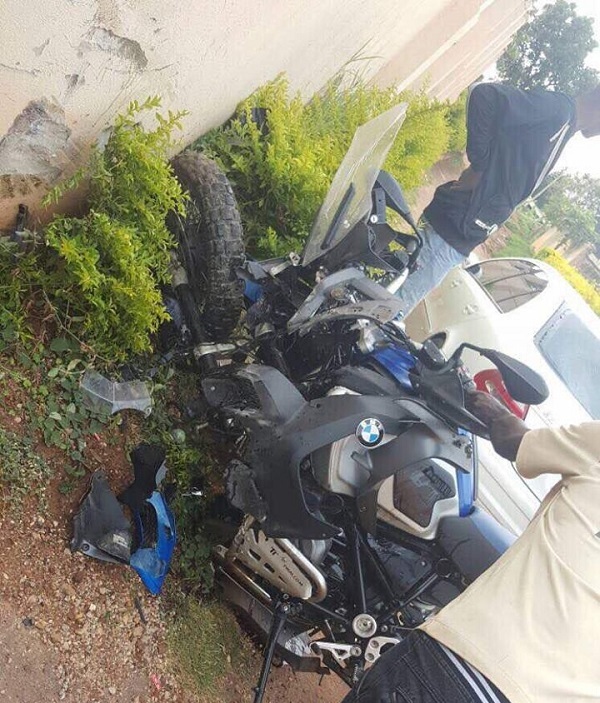 The blue bike is the one he was cruising at the time of the accident and in the chat, his wife clearly never approved the move of him resorting to bikes.